Plot: Twenty years after his high school glory days and a life that didn't turn out like he wanted, Mike O'Donnell is given a second chance when he is suddenly changed back to 17. While his body is young again, his mind is still in the 30s and the class of 2009 has a whole different outlook. While his body is young again, his mind is still in the 30s and the class of 2009 has a whole different outlook. This movie was funny and I thought this movie was going to be stupid and unfunny but the movie made me laugh and the movie has a heart. I was surprised that I actually liked this movie and thought it was funny. Zac Efron is very good in this. In fact, the whole cast is pretty good. The story is fun and well done. No posts have been made on this movie yet. 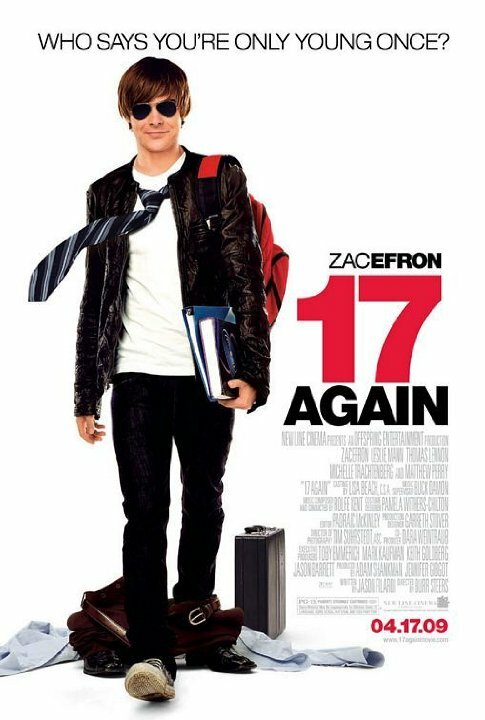 Be the first to start talking about 17 Again!